Arriving soon to Kickstarter - Vintage Label Wine/Deck Collection. 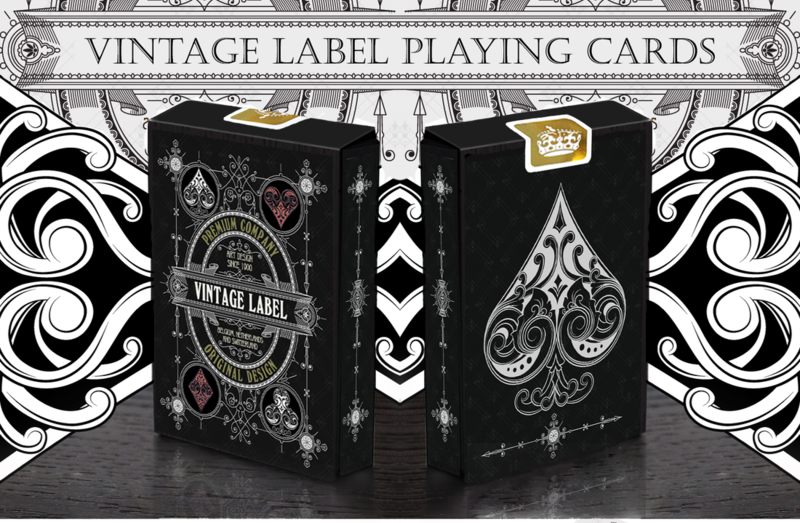 This project is being developed in collaboration with Legends Playing Card Company and the cards for this deck collection will be produced using LPCC's premium quality 'Diamond Cut' finish. These decks will be available in both Standard and Limited Editions and are to served in a fine selection of pristine wine colours/flavours for you to choose from. By supporting this project you will be receiving each one of these decks everytime we successfully launch a new Vintage Label deck on Kickstarter!